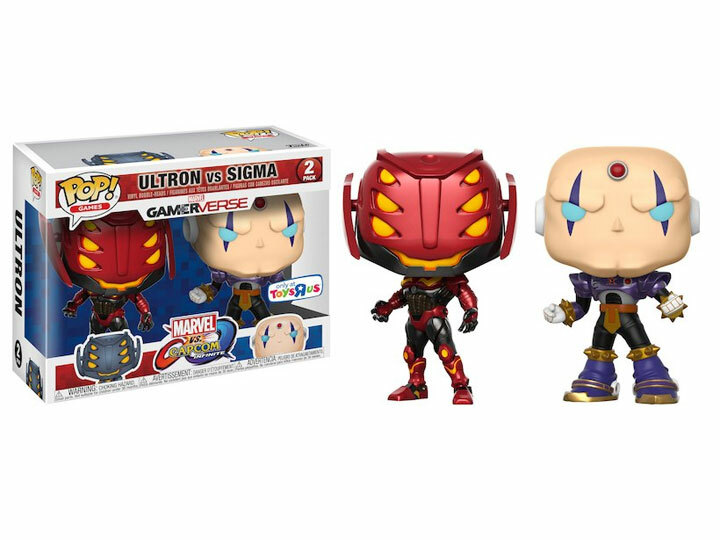 From the creative minds of Funko, Marvel, and Capcom, they bring you the Ultron vs Sigma Pop! Vinyl Figure 2-Pack! The stylized Ultron Pop! Vinyl Figure is rocking his righteous red armored body suit. The stylized Sigma Pop! Vinyl Figure is rocking his purple, black, and gold armored suit. The Pop! Vinyl 2-Pack is a Toys "R" Us exclusive that comes packaged in a window display box. Each figure stands approximately 3.75 inches tall.